I have always had a heart for children. After retiring from education after 30 years of teaching high school English, I was looking for an orphanage where I could volunteer. 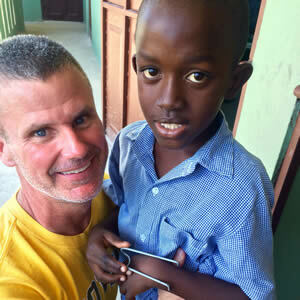 My husband realized that he had a fraternity brother, Bill Harvey, who had started an orphanage with his wife, Debbie. 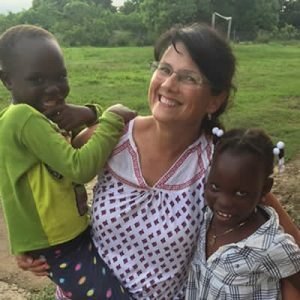 We reached out to them and were soon on a plane on our way to KAV in Haiti. After I made my first trip to Kay Anj, I was enthralled with the energy and love that the children showed us, total strangers visiting their home. In church that Sunday, I watched a community of Haitians praying and thanking God over and over for His many blessings. I was overwhelmed with joy. I have loved the children, the mama’s, the security guards and the staff who make HHA a miracle here on earth: God-inspired and blessed, always giving all to His Glory. 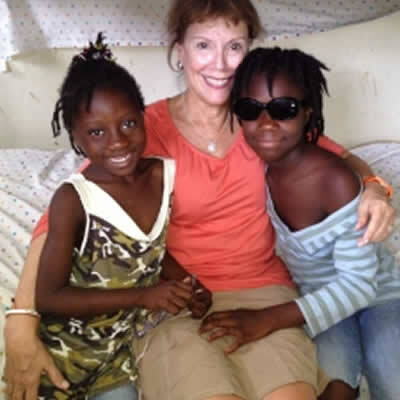 It is an honor to serve on the Board of Directors of Helping Haitian Angels.